Indeed, Laparoscopic gastric bypass is the gold standard for weight loss surgery, it is well known as Roux- en- Y gastric Bypass. It has withstood the test of time in achieving substantial weight loss and maintaining the same. 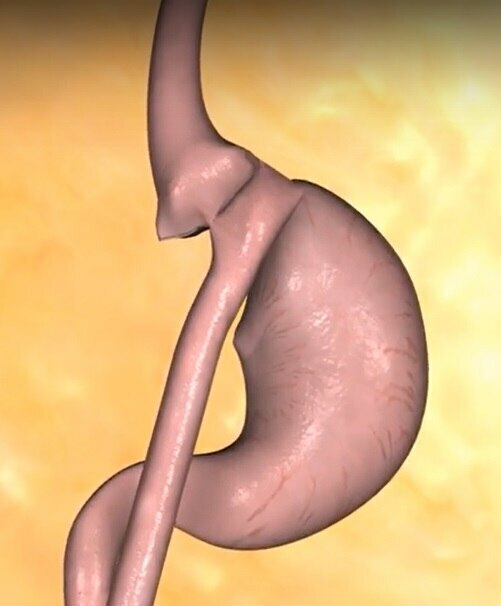 In this Gastric Bypass surgery, we create a gastric pouch having a volume of 30-40 cc and connect it to the small intestine, so that the residual part of the stomach and approximately 100-150cms of the small intestine is bypassed. This gastric bypass surgery works in four ways. Firstly, by creating a 30 to 40cc stomach pouch, we restrict the intake of food. Secondly, there is reduction in the levels of the hunger hormone Ghrelin. Thirdly, as food passes from the pouch directly to the small intestine, the secretion of the hormone GLP1 is thrice the amount that is normally secreted, which has a major role in the remission of Diabetes. Fourthly, as food does not enter the second part of the duodenum, a hormone called the Factor X is not secreted which also contributes to diabetes remission along with weight loss. This is the reason why this surgery is also known and has been popularised as a Metabolic Surgery or the Diabetes surgery. Best Bariatric Surgeon is one who knows whom to operate and whom not to operate(medical weight loss), whose focus is only on Bariatric and Metabolic Surgeries, does large number of surgeries every month, personally follows up the operated patients, has good and sustained results in terms of weight loss and diabetes remission.